Getting your business website and social media sites to rank highly in the search engines requires a mix of search engine optimization and other marketing and advertising efforts. Pay Per Click advertising is an excellent choice to help get your business website to rank higher in the search engines, while also applying organic methods of search engine optimization and marketing tactics. Pay Per Click advertising is advertising that you purchase a specific amount of clicks at a certain rate. For example, you could choose a pay per click advertisement that will go up to $100 per week. 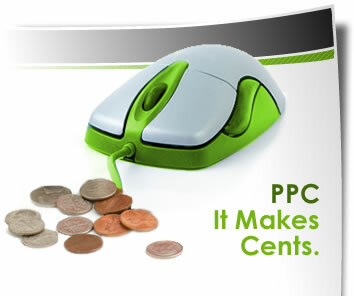 When the $100 budget is reached, the pay per click advertisement will not be shown again until the next budgeted cycle. This allows you an effective way to advertise that is friendly to your business marketing budget. Part of what makes Pay Per Click advertising effective is using effective keywords and focusing on your target market. This way the ad will only show up when it is relevant for the search the person is conducting. If your business sells pet supplies, and someone searches on “pet supplies”, your advertisement will come up. Compelling them to click on the ad is the next part of the ad. For this, you will want verbiage that will let people know what your business offers and why they should click through to your site. In the “pet supplies” example, you may add “Lowest prices on the Best Name Brand supplies for your pet” or similar verbiage to encourage potential customers to learn more. Formulating your Pay Per Click ads is the most important part of the ad campaign. You do not have too many words to use and you want to make sure your ad will show up where your potential customers are most likely to see it. If you sell pet supplies, having your Pay Per Click advertisements show up in searches for specific types of pet supplies is going to be far more successful than having them show up in home and garden searches. Testing Pay Per Click ads is important and easy to do. Ads do not require a minimum budget, so you can set low budgets and test conversion rates. This will allow you to allocate higher budgets to the Pay Per Click ads that offer the highest conversion rate. When you have the right keyword and right description, you will find that your Pay Per Click advertising campaigns are a cost effective way to increase conversion rates with new customers and help rank higher in the search engines.